With over 55,000 WordPress plugins available, it’s quite difficult for beginners to find the best WordPress plugins for their need. Often we’re asked by users if there is a magic list of “must have WordPress plugins” that all pros use. The answer is YES. Having the right set of plugins can make a huge difference in your blog / website growth. In this article, we have hand-picked the best WordPress plugins of 2019. Our focus with this article is to highlight the best WordPress plugins in their respective categories. If you are not sure how to install a WordPress plugin or how to find the best WordPress plugin, then scroll down to the very bottom of this article to find that information. Depending on your use case, you might not need all of these plugins on your website, but we believe a lot of these are needed for just about every type of website. Having that said, let’s take a look at the best WordPress plugins in the market. WPForms is a one-stop shop for creating any type of WordPress form including order forms, survey forms, donation forms, email subscription forms, etc. WPForms come with dozens of pre-built form templates that perfectly adapt to your workflow and save you time. It comes with all the advanced features like: email marketing integration, payment integrations, conditional logic, survey addon, multi-part forms, front-end post submission, and more. If you’re after a contact form plugin that is both easy and powerful, then look no further than WPForms. We believe it’s a MUST HAVE for every site. It’s being used on over 1 million websites! They also have a free version available that you can get – WPForms Lite. If you want to grow your website, then it’s important for you to know exactly how people find and use your website. MonsterInsights is the best and most popular Google Analytics plugin for WordPress. Over 1.9 million websites use MonsterInsights. MonsterInsights makes it super easy to connect your website to Google Analytics and offer comprehensive tracking features. Even though Google Analytics is built for tracking almost every user interaction on your website, like form submissions, ecommerce transactions, downloads tracking, etc., the default Analytics setup doesn’t allow you to make use of the full potential of Analytics tracking. Yoast SEO is the best SEO plugin in the market. It allows you to easily optimize your WordPress site for better search engine rankings. It comes with all the important features like XML sitemaps, meta information editor, robots control, and so much more. Unlike most other WordPress SEO plugins, Yoast SEO forces you to choose a focus keyword for your blog and then makes sure you appropriately used it on the page. Yoast SEO shows you a SEO snippet within your page editor, so that you can edit your meta description to improve your click-through rates in search results. In a nutshell, Yoast SEO takes care of the all the technical SEO optimization for your site. Sucuri is a complete website security solution that protects your site from malware, brute force attacks and other potential vulnerabilities. Once you activate Sucuri, all your website traffic goes through their CloudProxy servers and every request is scanned to filter out malicious requests. This way Sucuri can reduce server load and improve your site’s performance by blocking all malicious traffic from reaching your server. It protects your website against SQL Injections, XSS, and all known-attacks. In addition to that, they proactively report potential security threats to WordPress core team and third-party plugins as well. Its antivirus package monitors your website every 4 hour to ensure your website is free from potential vulnerabilities and malware. It allows you to conduct server side scanning to protect your website from compromised and server level infections. OptinMonster is the most powerful lead generation solution in the world. It comes with high-performing pre-built templates that are proven to convert your visitors into leads and customers. You can choose the perfect campaign type that easily grabs your visitors’ attention, like lightbox popup, floating bar, full-screen welcome mat and more. With its powerful targeting and segmentation engine, you can show personalized message to every individual visitor on your site based on their geographic location, referral source, the page or section of your site and more. Exit-intent Technology: Recover abandoning visitors into leads by showing customized campaigns to your visitors at the precise moment they are about to leave. Onsite Retargeting: Create special offers targeting repeat visitors based on their previous interactions on your site. Onsite Followup Campaigns: Followup your visitors with triggered campaigns based on visitor interactions. Cookie retargeting: Create custom browser cookies based on your customers’ demographics data like age, gender, location and then show highly targeted campaigns to drive conversions. 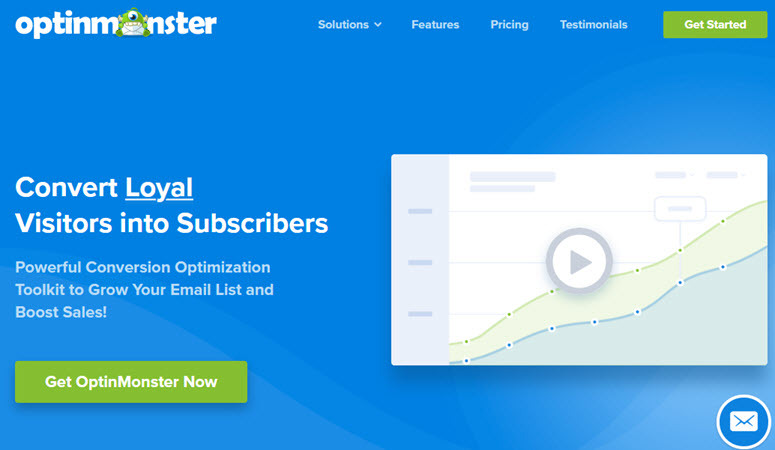 OptinMonster seamlessly integrates with all major email marketing services. A free connector plugin is available to download from the WordPress plugin repository that lets you easily embed your OptinMonster forms. UpdraftPlus is one of the best WordPress backup plugins in the market. It’s been rated as the most popular backup solution for WordPress, with over a million active installs. Even with the free version of the plugin, you can easily setup full, manual or scheduled backups of all your website files including database, plugins and themes. Restoring your files is easy, and you can do it with minimal technical knowledge. Best of all, it supports multiple cloud storage options including Google Drive, Dropbox and Amazon S3. While the free version is fully packed with all the essential features, you can easily enhance the core functionalities with their premium version. Constant Contact is the most popular email marketing service for small businesses. It comes with tons of customizable email templates that help you get a head start. When getting started, you’ll be prompted to choose your industry, and your previous experience with email marketing. Based on the selection, you’ll get customized content and promotion ideas that will help you level up your email marketing. Constant Contact offers unmatched support with live chat, email, and discussion forums. They also have a vast library of resources, and it integrates seamlessly with popular lead generation tools like OptinMonster and WPForms. While most email marketing services offer 14 or 30-day free trial to test the service, Constant Contact gives you full access to their tool for 60 days. After the trial, the subscription starts at $20 per month for up to 500 subscribers. MemberPress is the most complete WordPress membership plugin that comes with all the features you need to create a powerful membership site with ease. Unlike other plugins, MemberPress lets you transform your existing website into a fully-featured membership site without hassle. All you need to do is install the MemberPress plugin on your existing site, enter your payment gateway details, setup your products, and start inviting your visitors to join your membership site. With MemberPress, you can restrict access to specific pages, posts, custom post types or any existing files from your regular visitors. The plugin integrates seamlessly with popular email marketing services, like AWeber, MailChimp, GetResponse, etc. MemberPress offers built-in support for payment gateways like PayPal, Stripe and Authorize.net. You can also create dynamic pricing pages quickly and easily. The plugin also comes with several pricing page templates to create a unique look. Beaver Builder is one of the best drag & drop WordPress page builders. It gives you the ability to create a website the way you want without knowing any coding skills. You can drag & drop to build beautiful pages with ease. Beaver Builder comes with dozens of gorgeous page templates, so you can easily kickstart your design without starting from scratch. You can choose a template, replace images and text with yours, and then hit publish. Beaver Builder works with any WordPress theme giving you full control over your content. The best thing is even if you stopped using the plugin, your content gets ported to the WordPress editor. With the pro plan and above, you’ll get beautiful Beaver Builder compatible themes that allows you to modify your styles with the native WordPress Customizer. 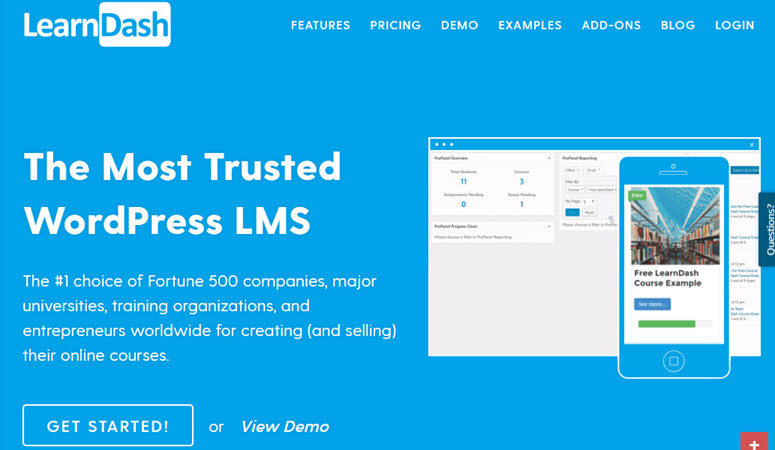 LearnDash is the best WordPress LMS plugin in existence. LearnDash makes it super easy to create and sell courses, deliver quizzes, award certificates and more. It enables you to offer a robust learning experience to your members and supports the latest gamification, social learning and micro-content trends. Memberships: Sell traditional membership access to your entire online courses. One-time price: Allow users to make individual online course purchase. Subscription: Maximize revenue through recurring payments and subscription for your online course. Course licenses: Allow organizers to purchase the license in bulk and grant access to their staffs. With LearnDash, you can let your students unlock new courses based on the points they earn as they complete courses. This increases user engagement in your online courses. You can also offer front-end user profiles where members can track their learning progress. WooCommerce is the most popular eCommerce platform for WordPress. With no doubt, it is the most comprehensive solution that enables you to sell both digital and physical goods on your WordPress website. With hundreds of free and paid extensions, WooCommerce makes it super easy to build and enhance your store, so you can start selling products in minutes. If you want a custom build online store, then you can easily hire WooCommerce developers thanks to the large community. WooCommerce comes bundled with PayPal (for accepting credit card and PayPal account payments), BACS, and cash on delivery for accepting payments. For more payment gateways, you can install addons on your WooCommerce store. WooCommerce also provides easy-to-follow documentation that walks you through different aspects of building an online store. The support requests are handled on the official forums, so in case you need assistance, they’ve got you covered. Shared Counts is a lean social media plugin for your WordPress site that quickly retrieves, caches and displays various social sharing counts by using SharedCount.com API. This is by far the fastest social sharing plugin in the market. Most other share plugins slow down your website, but this is written by very highly reputable developers who value performance. Since it’s written by developers, this plugin is very flexible and developer friendly. You can easily customize it to match your theme’s need. It supports share counts for Facebook, Pinterest, LinkedIn, Twitter (using the NewShareCount API), Stumbleupon, and email sharing. It also combines the share count, so you can show total share counts alongside the buttons. CSS Hero is a WordPress customization plugin that helps you customize your WordPress theme without writing a single line of code. WordPress themes use CSS to control the visual appearance of your website. This means that if you want to customize the look and feel of your site, then you have to learn CSS. This isn’t a feasible option for beginners. CSS Hero is a great solution if you’re not using a page builder like BeaverBuilder. Insert Header and Footer is a simple utility plugin that lets you insert code like Facebook Pixel, custom CSS, meta verification, and others in your website’s header or footer area. This saves you from editing your theme files. You can make all the changes from a simple interface inside your WordPress dashboard. It’s being used on over 400,000 websites. Live Chat is the best live chat tool that lets you get in touch with your website visitors and point them in the right direction. The pricing is based on the number of agents that can log into your Live Chat account at the same time. However, you can create as many as agent accounts for organizing your team members. Everything that customers are typing in is visible instantly in the chat window, which helps you provide quick assistance to your customers. The tool also comes with powerful built-in reports and analytics. You can even integrate it with your Google Analytics account to measure the impact Live Chat has on your business. You can also get a free WordPress plugin to install on your website. Live Chat Inc supports integration with all your favorite web apps. Envira Gallery is the best WordPress Gallery plugin that’s both easy and powerful. It comes with a set of pre-built templates that let you easily customize the look and feel of your gallery. Unlike other popular WordPress gallery plugins, Envira is a lightweight non-bloated plugin. It comes with all the important features out of the box. You can easily enhance the core functionalities by installing one of their two dozen addons. Drag and drop builder: Create beautiful galleries in a matter of seconds with just a few clicks. Responsive mobile friendly: All galleries you built with Envira are 100% responsive, meaning they’ll work great on mobile, tablet and desktop devices. Standalone galleries: Create independent galleries that are not tied to your posts and pages. Tons of addons: You can find an extensive collection of addons, like Social sharing, Videos, WooCommerce, Watermarking – just to name a few. ThirstyAffiliates is a must-use plugin for affiliate marketers that let you easily organize all your affiliate links in a single place. With ThirstyAffiliates, finding and replacing your affiliate links won’t be a hassle. For example, whenever you want to change an affiliate link, you don’t need to dig deeper into your site and manually alter those URLs. Instead, you simply do that in your ThirstyAffiliates panel, which will automatically change all the published URLs. It also allows you to cloak your ugly looking long URLs into shorter pretty links. The other neat part about ThirstyAffiliates is that it can automatically replace any keyword with an affiliate link allowing you to earn more from your site. TablePress allows you to easily create and manage responsive tables in WordPress. You can edit the table data in a spreadsheet-like interface and easily insert it inside your posts and pages. It comes with advanced features like the ability to sort columns, filtering, pagination, and more. TablePress tables are SEO friendly and can help you get position-zero in search. Revive Old Post allows you to automatically share your new and old posts on your social media accounts. It enables you to share your content on multiple platforms including Facebook, Twitter and LinkedIn. It also allows you to track clicks. You can set a sharing interval and choose the number of posts to share. You can also post with featured images in your tweets to boost your click-through rates. Images are usually the biggest reason why websites load slow. EWWW Image Optimizer automatically compresses your blog images without reducing quality. It’s advanced algorithm can make a huge difference in your website speed. Since most users don’t optimize their images before they upload, a plugin like EWWW image optimizer can be extremely useful. It should go without saying that if you can optimize the image for web before uploading, then you don’t need this plugin. WP Mail SMTP helps fix the email deliverability issue that many WordPress sites encounter by routing emails through a proper SMTP protocol instead of your default hosting server. WP Mail SMTP solves this issue. This is a MUST HAVE plugin for all websites. Currently running on 900,000 WordPress sites. WPML is a premium translation plugin that allows you to translate your posts, pages and custom post types. It’s advised to make a full back up of your site before installing it on your website. Unlike most other translation plugins, WPML is compatible with most major WordPress themes and plugin, so you don’t have to patch your themes or plugins to make WPML work. It even allows you to translate web copy created with popular drag & drop page builders. If you need help with human translation, then WPML connects you to leading translation services. WPML takes care of all multilingual SEO and works seamlessly with popular SEO plugins. You can use as many languages as you like with WPML. They offer 3 premium plans based on the number of features. With every premium plan, you get unlimited websites usage right. WPML is the oldest and most reliable plugin for creating multilingual WordPress websites. SeedProd is the most popular coming soon and maintenance mode plugin for WordPress. When you are creating a new website, this is the quickest and easiest way to setup a coming soon page. You can use it to capture leads and grow your launch list. It has the ability to show a countdown timer, social sharing, and referral tracking. If you’re working on a new design or site changes, then you can use SeedProd for creating a beautiful maintenance page. User Role Editor is a great utility plugin that allows you to create custom permissions and roles for your WordPress site. This is a great plugin for membership sites, eCommerce sites, corporate sites, or any type of multi-author / multi-user website. While it’s not needed for all sites, it’s the best plugin of it’s kind specially when you need it. Better Search Replace is a WordPress utility plugin that helps you quickly Find and Replace different items on your site. This work very similar to the Find and Replace feature in Microsoft Word or equivalent software. We recommend installing this plugin when you need it because it’s the best of it’s kind. Once you’re done using the plugin, you can simply uninstall it. AdSanity provides an easy way to insert affiliate banners inside a post or sidebar widgets. You can manage your affiliate campaigns and ads within your WordPress admin panel. The main benefit of using AdSanity is you can display affiliate banner only on a specified timeframe on your website. With its performance report, you can easily track the performance of each banner you publish on your site. With over a million active installs, W3 Total Cache is one of the most popular caching plugins for WordPress. It improves your server performance by caching every aspect of your site and also offers content delivery network integrations. It’s been used and recommended by countless companies and publications like AT&T, MattCutts.com, Mashable.com, and others. Whether your site is hosted on a shared hosting network or a dedicated server, you’ll find the plugin helpful to improve your web server performance and reduce page load time. Perhaps, it’s the only plugin designed to optimize all practical hosting environments. It offers support for Google Accelerated Mobile Pages (AMP) and Secure Socket Layer (SSL). Plugins are apps in WordPress that helps you take your website to the next level. We hope you find our list of the best WordPress plugins to be helpful. But what if you were looking for a plugin that you didn’t see in this list? Well, we will try to give you an overview of how to choose the best plugin for your WordPress site. We will share what are the things you should look for and how to make the most out of WordPress plugins. As we mentioned earlier, that there are thousands of free and paid WordPress plugins. Locating a plugin for something that you want to do on your site can be difficult. Here is how you would begin your search. The search feature on the WordPress.org directory can help you narrow down your quest. However, you will still have to scroll down a lot and many of the results will not be relevant at all. The best way to search for plugins is by using Google Search, or search through WPBeginner’s plugins category. When looking at plugins in WordPress.org directory, look at the plugin stats below each listing. It shows the total number of active installs for a plugin, higher installs means that it has been tested and used by more websites. You will also see the average review stars, last updated, and tested up to information. For more detailed instructions take a look at this beginner’s guide on how to choose the best WordPress plugin. What’s The Difference Between Paid and Free WordPress Plugins? There are thousands of WordPress plugins, which are available for free on WordPress.org directory. However, there are lots of WordPress plugins that are sold on third party websites as premium plugins. This makes many new users wonder whether premium or paid plugins are better in some way? 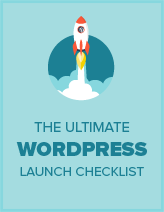 Free WordPress plugins are available to you without any warranties. Support for free plugins is usually limited, and it is not guaranteed. Some free plugin authors do provide excellent support for their free plugins, but sooner or later it becomes a chore. There is no financial incentive for plugin authors to keep answering user questions on their free plugins. This means that free WordPress plugins are available on an as-is basis with no warranties. Paid WordPress plugins on the other hand offer premium support for their product. Most of them are licensed GPL too, which means they also come with limited warranty. But having access to support means you can get help much faster. This does not mean that premium plugins are always a better alternative to free WordPress plugins. In fact, many of the most popular WordPress plugins are free. For example, Yoast SEO, WP Super Cache, WPForms, and many more. You should focus on finding a good plugin, that is easy to use, and has excellent reviews. Once you have narrowed down your search, you can decide whether you want to go for premium plugin or a free alternative. You can try the free plugins first but if they are too difficult to use, then you can go for a paid plugin. There are two easy ways to install a WordPress plugin from the admin area of your site. For free WordPress plugins, you can go to Plugins » Add New and search for the plugin name that you want to install. Carefully look at the results to make sure that you are downloading the plugin you wanted and then click on the Install button. Once installed, you will need to activate the plugin. If you downloaded a WordPress plugin in a zip file, then this is how you will install it. Simply go to Plugins » Add New page, and then click on the ‘Upload Plugin’ button at the top. WordPress will now show you a page where you can upload the plugin zip file. Simply click on the choose file button, locate the zip file on your computer, and then click on the install now button. WordPress will now upload the plugin file to your website, extract it, and install the plugin. Once the installation is finished, it will show you a success message with a link to activate the plugin. It is important to remember, that you need to activate a plugin before you could use it on your WordPress site. For more detailed instructions, take a look at our guide on how to install a WordPress plugin. If you do not see a plugins page on your WordPress blog, then the most likely reason is that you are using WordPress.com. WordPress.com is a free blog hosting service that allows you to create free blogs on their servers. It is not the same as having your own self hosted WordPress.org site. Take a look at this guide on the difference between WordPress.com and WordPress.org. One of the main difference between the two is that you cannot install plugins on WordPress.com blog unless you’re on their higher-end plan. In order to use powerful WordPress plugins and themes, you will need to move for a self hosted WordPress.org site. Here are step by step instructions on how to move from WordPress.com to WordPress.org.